Now playing at The Black Folder - Dr. Marc Lamont Hill giving a powerful lecture at Columbia University in November of 2011. He talks for about 40 minutes about so many relevant things to those of us seeking to be successful in a society that has several challenges. 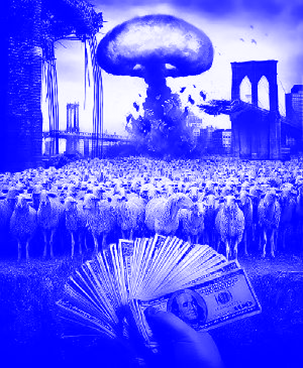 The people you and I want to free from the matrix are caught up in this society. The society, divides people along several lines. We are divided by Race, Politics, and also Economics ... which often is related to the first two. 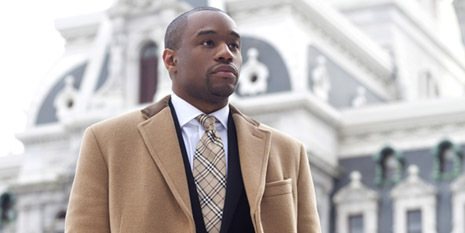 This conversation that Marc Lamont Hill has is note worthy as he discusses America's Promise. Are we really a great nation? Was this nation ever great? Why does America refuse to come to terms with history? That is the question asked by Marc Lamont Hill in his powerful lecture given at Columbia University. It's true. As I write this Donald Trump is running for President of the United States, and his motto is "I want to make America great again". But when were we ever really great? Great, for All people who are legal citizens of this land? From some of my notes; We need more DEEP Listening; and also a DEEPER Sense of History. They say that those who do not know history are doomed to repeat its mistakes. Mistakes are great teachers in life but they can only teach us when we admit that we made them. That's how we gain the experience so that the next time we find ourselves in the same position we make the right decision. So many problems we face today in America stem from not admitting fully to the mistakes of the past; nor even the mistakes that continue to happen in the present. One of the reasons that The Black Folder exists in the first place is because there needs to be a conversation happening, within the black business arena. Most of us are well aware of the challenges we face that are unique to black business owners. So why wouldn't we seek to work together? Well, there are so many reasons that explain why we are not. The more we understand these reasons the less these experiences will frustrate us; as we work to improve our lot in life; and inspire others to do the same - Legally - without falling into the traps that America continues to set for our people. These are realities that we face, but others do not. Unfortunately because of our failure to have a Deeper sense of history; America seeks to censor black thought and black conversation. Many of us have witnessed the push to silence the Black Lives Matter movement - but just last week, we 'remembered' September 11th; and the phrase "never forget" was mentioned by many. We'd never ask Jews to forget the Holocuast; but blacks are asked to GET over what happened to their ancestors; and to not think about how their grandparents were treated; To not consider the challenges their parents faced.... to ignore unfair treatment that so many of us experience. So there is a real need to understand how Race, Politics, and American Life intersect with our desire to attain financial freedom. Enjoy the conversation, as it's one we all need to have. How does Race and Politics impact this time of Impressive Opportunity; abundant - and yet still So much Inequality? I certainly think it is. What can we do, working together, to bring a better world into focus? Is TSU A Social Networking Revolution Or Not? Visit TopNetworkersgroup.com to Sign up for our Email List and to work with My team. Yesterday I wrote that I believe using TSU is a Revolutionary Act. I actually posted my thoughts to TSU and surprisingly (not really) not everyone agree'd. So Is TSU a Social Networking Revolution or not? I certainly think it's a worthwhile debate to have. Facebook was a revolution - I think looking back on it all of us can agree on that. The way facebook made social networking fit into everyone's life was accomplished on a much larger scale than Myspace. However to be fair, Myspace truly set the pace for everything we see today. So where other social networks have revolutionized how we communicate, keep in touch, share information, and make new friends - I feel TSU has the opportunity to revolutionize our role. I can see how TSU has the potential to redirect the money flowing to these social networks into the lives of its users. However in spite of what I believe, it's going to require others who think like me to bring about that kind of revolution. I mean, why should social networks share their revenue with it's users? Ironically enough it's the same kind of mentality at work with CEO's making so much money. Why should they pay employees more money? Hopefully you can hear the sarcasm jumping off the page. Out of several comments this was the only one to Openly object to my statement. What was said however, was quite interesting and can help several people in understanding just what TSU is really all about. Is TSU doing any of the things this user claims? Not really. I do however want to try and go into some of these thoughts and ideas which have circulated. Bad ideas can be destructive and often are. So let's deal with the first Bad Idea that only the people 'at the top' are making money. It's the most Common Myth in MLM - I made a video that explains what is wrong with this perception of MLM compensation plans. If TSU is ever going to be a true social networking revolution we have to get this Idea right - and make sure as many people understand it as possible. So, 'do the people at the top make all the money?' --- Let's deal with that right now. Originally part of Do People At The Top Make All The Money in MLM? I also recommend listening to Tim Sales's video Who Is Getting Rich in MLM - as he does an even better job of explaining why this type of compensation is the most fairest business model there is. We get what we earn in MLM - and while TSU is certainly not an MLM it has a lot in common with MLM's. The perception people have is that of it being an MLM. This speaks to the reality of where the industry is at this point in time. Several companies are adopting this business model as a way to 'get the word out' without spending money on advertisements. Think about it, did you ever see a Facebook commercial before you signed up? Or did someone you know tell you about it? Did it keep popping up all over the place? Did you feel 'left out' so you created an account? I know the answers to all of these questions. I know that no one Saw a commercial for Facebook; I know you all saw it popping up everywhere. I know most of you joined facebook because you didn't want to be left out. That is the society We live in. None of you can fool me! Facebook is earning serious income because every single day, Millions of people are on their platform - posting content; reading content; sharing content; and commenting on content. In the world of marketing and advertising - the goal has always been to get in front of as many eyeballs as possible. Why else do you think the Superbowl has always been one of the premier slots to advertise? Because so many people are watching the same channel at the same time; it almost never happens that way. This is where TSU comes in. If we as users could have the same vigor and excitement to Post and Share all the Content we do on Other networks as we have for doing it on TSU; We can create a Social Networking Revolution. The objection made by the TSU user is common. Too many of them are concerned with what others are making. They're so mad that a few people who got in early and referred a lot of people who turned around and did the same are now making so much money in comparison to what they are making. However, any money made on TSU is more, by comparison to what people make on FB. Also the people with Larger Networks Deserve a Larger share of the Pie. What we need to focus on instead of how big their slice is, is HOW big is the Pie? How can we GROW The PIE so that even the little guy, is making a decent income From social networking? That is what I mean by a social networking revolution. That is why I say, that I believe Using TSU is a revolutionary act. When you use TSU you help grow the pie. When you refer others to TSU you grow the pie. When you encourage others to do the same, we all grow the pie. The bigger the pie, the more we can all eat.